Join us for one of Saturdays time-based events. The Princes Park loop will be run on the gravel trail with the exception of the lawn 3 cross over section. Runners must not cut corners or shorten the course. If a runner leaves the track for any purpose, they must re enter the track at the same place. 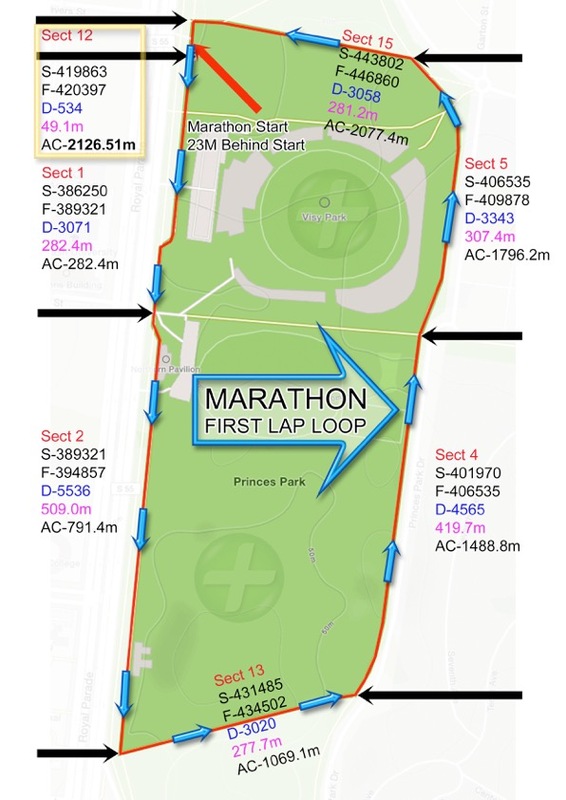 The 2.5km loop will be used, not the full outer 3.17km loop. All Sunday events will be run in a anticlockwise direction. Please note that nothing is sent to runners in the post. Race Bibs must be collected on race morning at registration. An "Info Pack" will be emailed to all competitors in the week leading up to the race. This will also be available on the "INFO PACK" tab on the race web page. Presentation will be within 1hr of the finish of each event. All participants will receive a custom designed medal. Place getters for longer events will receive a trophy. We hope you can allocate some spare time after your run to be part of the presentation processes, and be in the running for some great spot prizes! If you are a podium finisher, please allow time to attend the presentation and receive your trophy. Each winner who attends the presentation is eligible for other prizes. Princes Park is only a short tram ride from the centre of the Melbourne business district. 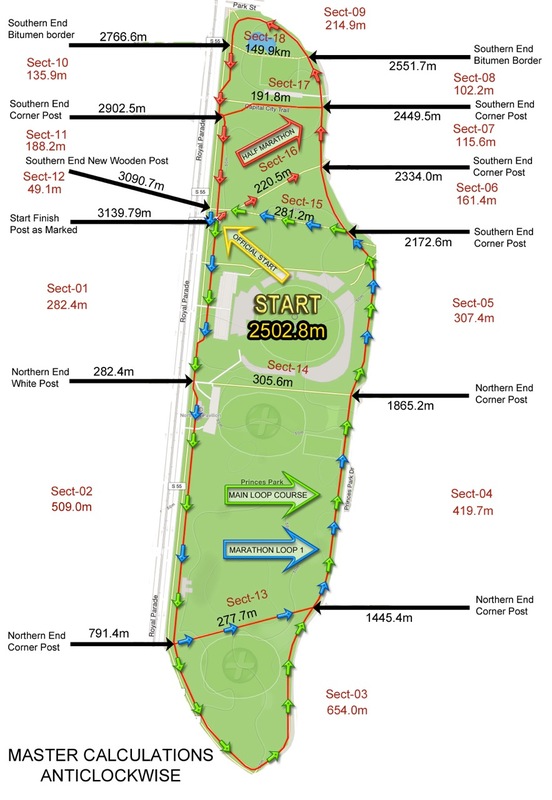 Runners will be permitted to have crews in an allocated area. This will be advised once approved by Melbourne City Council. This event is AURA sanctioned. The course has been officially measured and is certified for team qualification. The event hub will be the location of the main aid station. 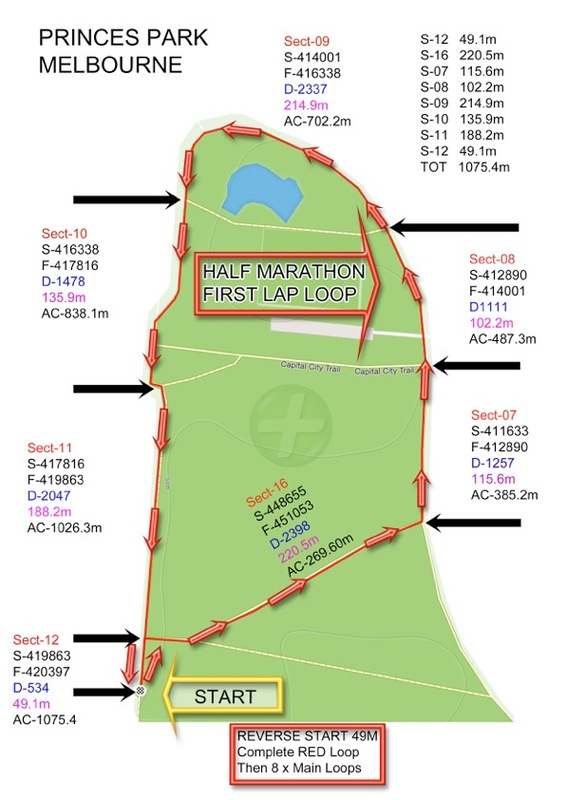 The aid station will have standard runner needs, including water, electrolyte drink, lollies, fruit and first aid. How was Princes Park Running Festival?